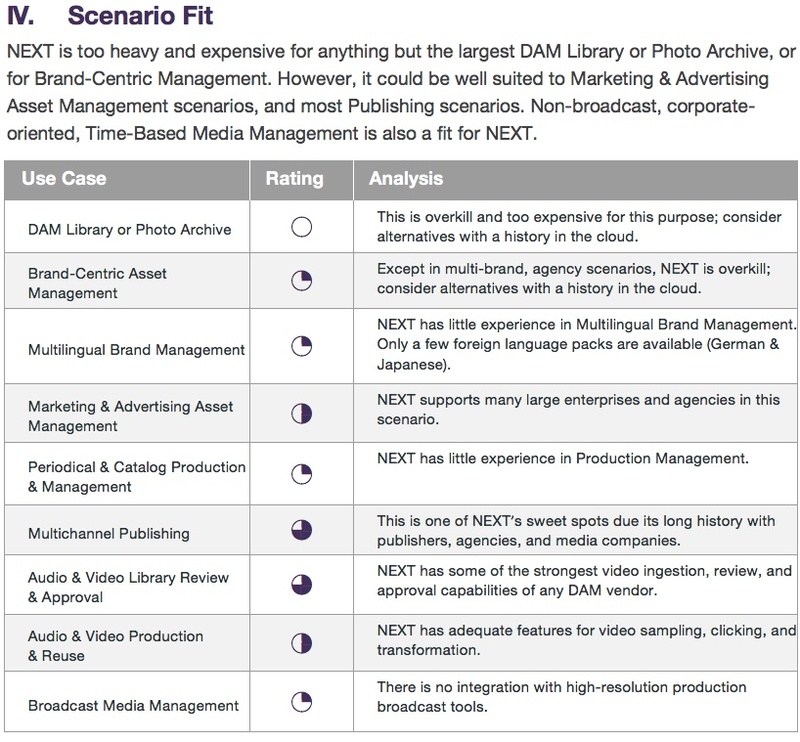 Digital Asset Management vendor North Plains has been selling its "Telescope" DAM for more than a decade. But now the platform has a new name ("NEXT") and a new delivery model, having been moved to the cloud. Despite the fresh name, it's not entirely new. RSG's Digital Asset Management research includes an evaluation of North Plains against our tough criteria. So where does deploying NEXT makes sense...and when would you want to look at alternatives? Hint: two charts tell most of the story. At RSG we evaluate every vendor according to ten strategic considerations. While sometimes intangible, these criteria can prove decisive for an enterprise customer about to embark on a long-term relationship with a particular technology supplier. 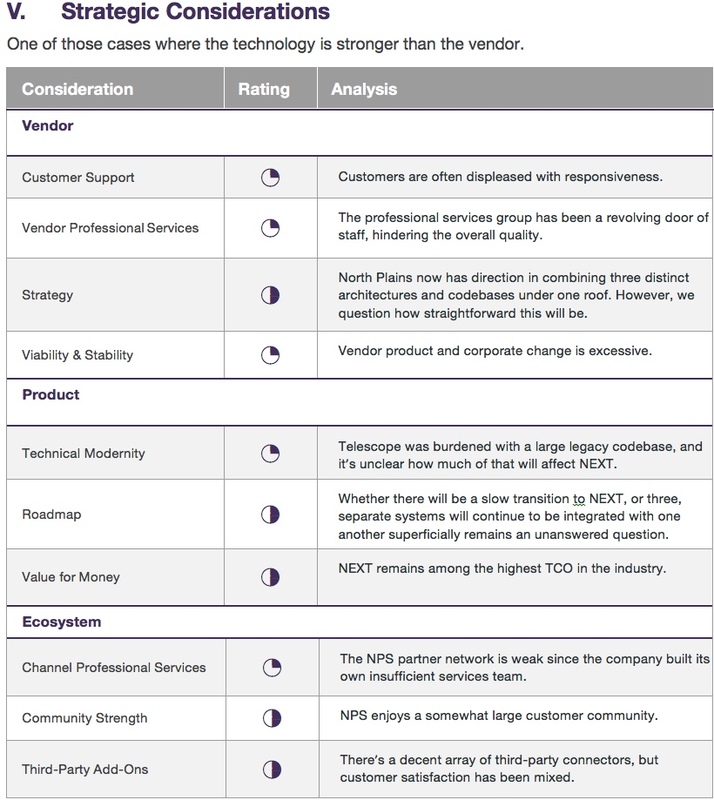 With North Plains, your long-term risks are likely to revolve more around the vendor than the community or the technology. With other DAM tools, it can be completely the other way around (stronger vendor, thinner technology base). There's no perfect DAM solution out there. But in a market with nearly 3-dozen viable players, you're very likely to find an excellent match if you do the right diligence. As always, RSG is here to help. Meantime, you can download the complete NEXT evaluation now; it's a complimentary excerpt of the full report.